Join Squeaky Clean as they take you on a trip down memory lane. 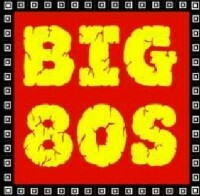 Students and Teachers will have a rocking good time exploring the history and music in their new program the BIG 80’s. This multimedia show about the decade of big hair, big cell phones, big shoulder pads and big guitar solos is a great show for all ages. The audience will be introduced to home PC, the Macintosh computer with the first computer mouse, the heyday of MTV, MIDI (Musical Instrument Digital Interface) and the compact disk. SQUEAKY CLEAN will perform many favorite songs from the 1980s, including: Don’t Stop Believin’, Eye of the Tiger, Girls Just Wanna Have Fun, and We Will Rock. Plenty of audience participation.